Soccer is one of, if not the, most popular sports played worldwide. Soccer (football) is one of the world's most beloved sport. While soccer has become one of the world's most popular sports - 250 million people play the game in about 200 countries around the world - researchers are at pains to explain its origin. It is probable that the game has its roots in countries like Ancient Rome, China, or Greece. In these places, history has it that people kicked a ball made from leather. According to research, the period that China, Greece, and Ancient Rome engaged in soccer was in 2nd and 3rd centuries. However, the rules of soccer were less complex at that time. England is accredited to have changed the overall face of the game and gave it its present picture. In its early days, kicking, gouging, and even punching opponents was part of the game of soccer as long as the objective was met. The overriding goal of the period was to score. It was justified by the end and not the means. Rules started emerging soon after the game was introduced to England. In fact, it was at the time when soccer took effect in England that some associations regulating the game started coming up and taking root. The introduction of soccer in England led to issues such as violence and neglect of duties. 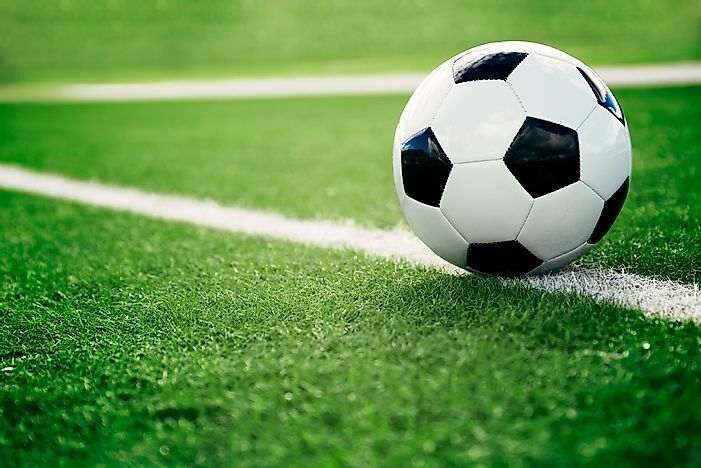 Many people developed a passion towards soccer, the new sport sweeping the nation. This led to its ban in 1365 by King Edward III and the declaration by King James I of Scotland who stated that “No man shall play football” in 1924. In several cases, violence would erupt when the fans and players alike were not satisfied with the outcome and judgment. Rules and regulations governing soccer were established in England along with the associations of football. After its introduction in learning institutions, soccer (or football in England) was separated from rugby and rules were set. The separation was an outcome of the rules introduced in soccer that banned players from holding the ball with their hands, pushing, shoving, and limited the ball to the feet, torso, and the head. In 1891, the game saw the entry of a rule that was called a game changer - the penalty kick. The kick aimed to address misconduct in the field especially in instances where the act took place around the penalty area. Moreover, the rule was introduced to solve many issues that came up whenever teams draw. In 1970, red and yellow cards were added to the game. Using the cards, a referee could send rogue players out of the field or use the yellow card to warn them. The introduction of the card was preceded by the membership of FIFA (Fédération Internationale de Football Association) to be a member of Great Britain’s International Football Association. Some changes that have taken place in the 90s include introducing penalties in cases where a goalkeeper holds balls deliberately back passed by teammates.